Be the talk of the team in our all new Pro Dry Tee. 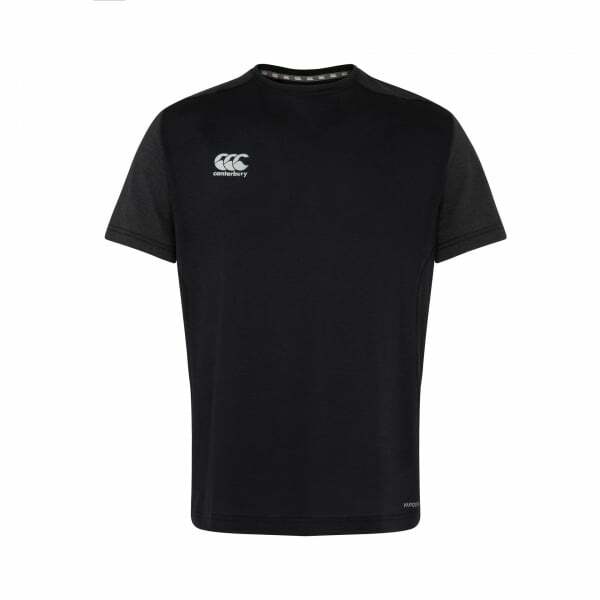 Continuing with Canterbury’s commitment to using cutting-edge fabric technologies in ground-breaking technical sports apparel, this tee comes with moisture-wicking and anti-odour Vapodri technology, so you’ll stay drier and fresher for longer, even during intense training sessions. With its off-set side seams sleeves to reduce abrasion, in this tee you’ll be empowered with increased athleticism for your workouts. Stylish enough for everyday wear, a gym workout, or for a post-match catch up with the team, this item comes with a reflective CCC logo on the front chest. Regular fit.